Anyone is free to use material under public domain and this includes federal government documents, materials produced before 1923 and those produced before 1977. When quoting something, one can use quotations that are short for criticism, commentary or news reporting purposes. Only a small portion of the quote should be used and it should in no way try to replicate the core aspect of the material. Copyright laws aim to protect expression of facts and ideas. The facts, verbatim, should not be used however one can use the facts and ideas, but not the exact usage of words. Some materials are not protected under the Copyrights Law and these include names, symbols, contents listing, short phrases, titles, slogans and procedures. Trademark laws protect a firm from people trying to use its name or logo to deceive clients. In the case you are attempting to criticize or analyze a company, you are welcome to use its name or logo for fair use. The same applies to using a company name on your website. Most people assume that if they credit the author of an article or image, they are not violating laws, but in fact you can only use copyrighted material only if you have the absolute permission from the author to do so. 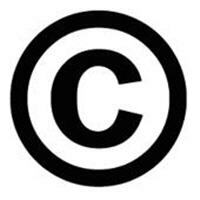 Previously, the Copyright Law required a copyright code to protect works until 1977. Since the laws have been changed, every published work automatically receives copyright protection. Even though making commercial use of copyrighted material makes it far easier for the author to claim damages, and although you insist that you were not making commercial use of the same, you are still breaking the laws since you have not secured permission from the author. Do not wrongly assume that if you take down or delete the copyrighted material you will be cleared. Not at all, if the author decides to litigate you, he can very well do so. If a copyright holder cant be identified, that does not mean that the material can be copied without securing permission. Even if you had contacted him and sought permission but he has not replied, you can still be in deep trouble for using his material if he decides to go to court. Remember to keep these facts in mind while attempting to write about something, when assimilating facts for an article or pictures to use on your blog. This can go a long way in helping you to avoid plagiarism and getting sued for copying a sourced material.